Since shooting my first gig for Bido Lito in Liverpool’s 24 Kitchen St, 2015, I’ve been exploring the world of gig photography and started a Community Interest Company (Shout About It Productions) with the aim of bringing the music and photography communities together. After shooting for a wide range of music blogs & mags including Bido Lito, Liverpool Noise, Gigslutz, Popped Music & Get Into This, in early 2018, I set out to create a project about people who make music across Merseyside. I’ve been inspired by artists at gigs, backstage, in rehearsals and the recording studio. 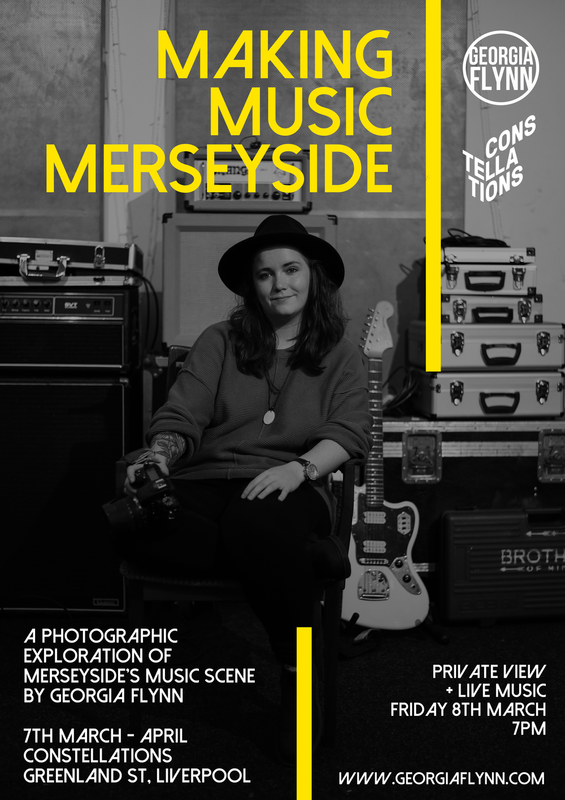 The exhibition hosted Constellations in the Baltic Triangle, will showcase a selection of images of Merseyside Music Makers over the past year.